John Noble Wilford has written a fascinating article in the Science section of the New York Times (its location in the paper is telling) about an exhibit currently on view at NYU’s Institute for the Study of the Ancient World. 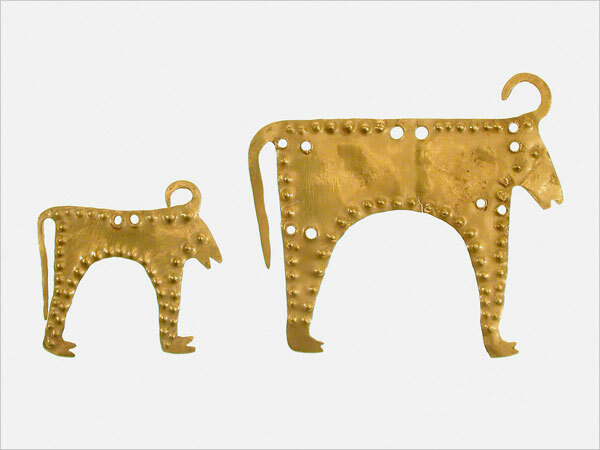 Entitled “The Lost World of Old Europe: the Danube Valley, 5000-3500 B.C.,” the show includes more than 250 artifacts from museums in Bulgaria, Moldova and Romania. These treasures are being shown for the first time in the United States and will be on view through April 25. 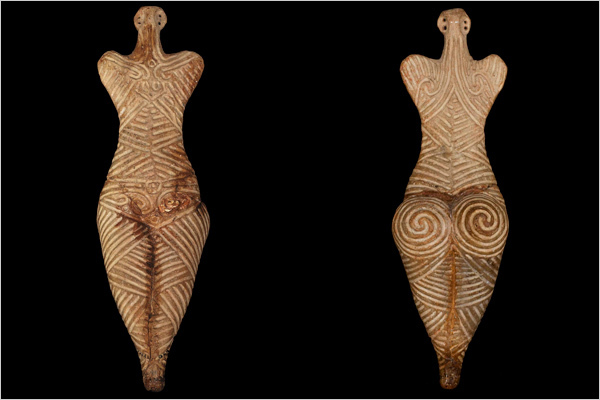 This is the culture that was of particular interest to the legendary archaeologist, mythologist and anthropologist Marija Gimbutas. Two of her books have been on my shelves since they were first published—The Language of the Goddess (published in 1989) and The Civilization of the Goddess (from 1991). Introduced to her work by Stephanie Hobart and Deborah Rose, I was stunned by the exquisite images of artifacts that she included in her publications, the likes of which I had never seen before. Why was this culture so relatively unexplored, particularly when compared to our knowledge of Sumerian, Egyptian and Prehistoric Greek cultures? Part of Gimbutas’ explanation for this was encapsulated in her strong statements about who these people were. She promulgated a view that the culture of Old Europe was matristric (woman-centered), a term she invented, and that its stories were lost when androcratic (male-centered) cultures invaded the region. Her theories were controversial when she first made her case, and the controversy continues even now, 15 years after her death. 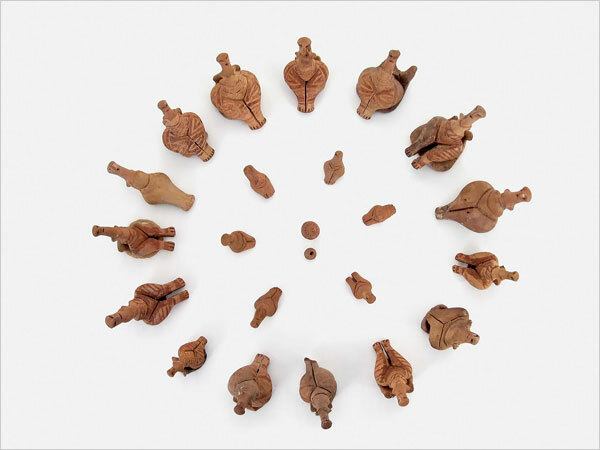 Others imagined the figurines as the “Council of Goddesses.” In her influential books three decades ago, Marija Gimbutas, an anthropologist at the University of California, Los Angeles, offered these and other so-called Venus figurines as representatives of divinities in cults to a Mother Goddess that reigned in prehistoric Europe. Or else the “Thinker,” for instance, is the image of you, me, the archaeologists and historians confronted and perplexed by a “lost” culture in southeastern Europe that had quite a go with life back before a single word was written or a wheel turned. Wherever you come out on the extrapolation of who these people were, the artifacts deserve much more attention than they have received previously. Hats off to NYU for mounting this exhibit. 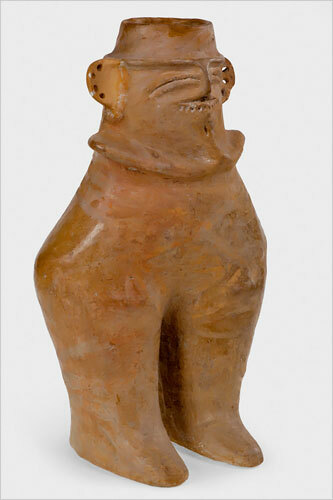 The female figurines shown in the image at the top of your post remind me of pieces of African art I’ve seen in the Museum of African Art on the Mall. Their heads remind me of Henry Moore scupltures. There’s a very Modern feel to them. The work is quite astonishing, particularly given its age. I looked at the Gimbutas books over and over again finally sinking into a knowing of my matriarchal lineage. These forms were so compelling as to launch me into years of exploring how cultures are shown through their icons and idols. I could accept the curves and egg shapes my body holds without shame or anxiety. I love these forms. Thanks Maureen and Stephanie. I am in awe of this.